We get a lot of different kinds of television shows these days, and with the new fall season upon us, high concept ideas are certainly running rampant. This has led to the development of a number of comic-based TV shows, and while DC may be flailing in the film world when it comes to anything that does not involve Batman, it certainly seems to have a better handle on its TV properties. Smallville lasted for a decade, Arrow has apparently become a solid action series, and we currently have shows like Flash and Constantine also making their debuts this year. 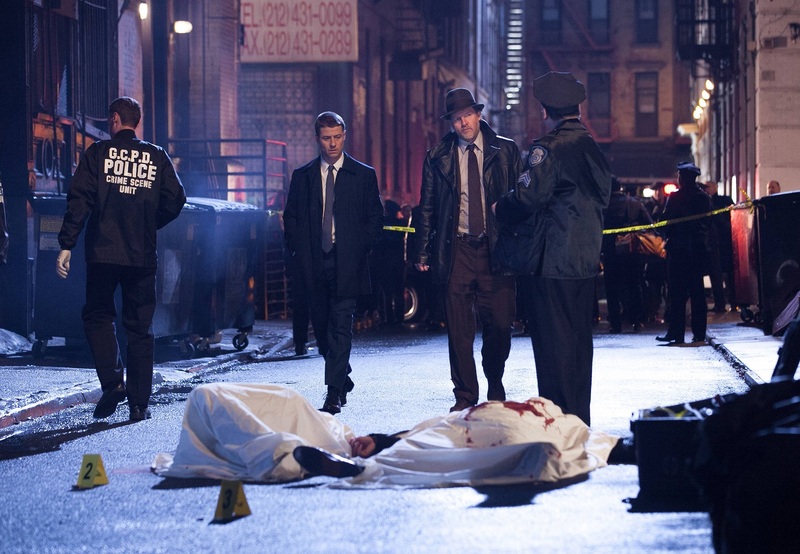 Gotham is the attempt by Fox to get in on this game, but it also seems less risky, as long as the show can keep its premise fresh and lively. Yes, this is essentially a Batman TV series that lacks Batman, but it is really a police procedural drama set in a stylish, heightened reality. Fortunately, this pilot episode is quite promising. From where I sit, the concept for Gotham is actually quite clever. The snide way to look at it would be to call it The Muppet Babies of Batman TV shows, and while I do not need to get into reasons why The Muppet Babies was a great children’s cartoon, I will say that I am less interested in looking at this as an origin story for Batman’s infamous rogue’s gallery and more intrigued by what a show wants to do with the Jim Gordon character, as far as shaping him into the man who would become Commissioner Gordon. It helps to see such a commitment to the universe in a pulpy sort of way, given the presence of some well-known comic book characters, presented in a new light. That in mind, even if this amounts to nothing more than a fresh coat of paint over some familiar ideas, the week-to-week plotting does have the right kind of potential to be a fun new take on a crime-focused series. Admittedly, aside from Batman, Gordon is my favorite character in the Batman universe, so I was appropriately excited to hear of a show that would be focused on him. Other reasons to be excited came from who would be involved. Showrunner Bruno Heller may be known for the hit CBS series, The Mentalist, but he was also the mind behind HBO’s short-lived Rome, a series I absolutely loved. Obviously a period drama focused on ancient Rome is not exactly the jumping-off point when it comes to discussing a show like Gotham, but something I admire about Heller is the way he can create intrigue in the midst of a different sort of reality. Obviously the direction and crew involved with producing this pilot episode have a lot to do with its effectiveness, but Heller’s guidance does find a good enough way to build a proper first episode out of a series with so much comic mythology behind it and so many elements it wants to introduce, while still functioning as a strong example of what the show can be. Casting is also quite inspired. Here we have Ben McKenzie, fresh off of the unfortunately cancelled Southland, who has the right kind of presence to bring to the Jim Gordon character. Placing Donal Logue at his side as Harvey Bullock also feels like a big win. There will be more to say about the other characters as this series goes on, but as far as the pilot goes, I am really enjoying the sort of menace Jada Pinkett-Smith is bringing to her role as gang boss Fish Mooney. She seems to clearly be playing the role in an all-in sort of way and channeling Eartha Kitt from her Catwoman days in an effort to bring this character even further into the fantastical noir-ish world being established here. 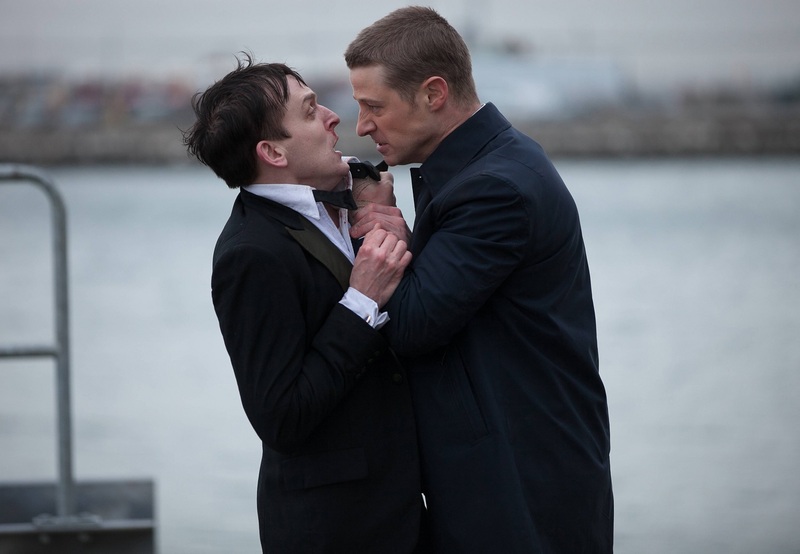 Robin Lord Taylor’s work as Oswald Cobblepot, aka Penguin, is also worth noting, as he is clearly being set up for bigger things in the future of the series and Taylor adds a level of sociopathic tendencies behind the eyes of a weaselly guy quite effectively. I may seem to be writing around the actual episode, but it does work quite well. We are quickly introduced to this world of Gotham City through a tiny cat burglar who we will surely come to know soon enough. We see the scene that sets a path for a young boy, as he watches his parents’ murder. And we see the introduction of our hero, Detective James Gordon. Established as a war hero and a man who wants to do things by the book, despite understanding the level of corruption in the city he has just moved to, Gordon may be a straight arrow, but there is something to the way McKenzie plays this role where you can see a level of anger underneath the surface. This is again a case where I hope future episodes will really put the ideologies of this character to the test, but for the time being, we not only get a good look at who Gordon is, but a cast of colorful characters around him. Much of this episode relies on giving us the relationship between Gordon and Bullock. It is nothing new to have a veteran and a rookie having trouble getting along, let alone establishing that one is looser with the rules and laws of the city than the other, but Logue and McKenzie work well together. It helps that Logue is a reliable actor, given that he has a showy role, but can only take this kind of character so far in an episode devoted to establishing so much. Again, I look forward to seeing more, but the climax of this episode, which involves Bullock forcing Gordon to make a big decision, may seem a bit over-dramatic, given that this is a pilot episode, but it’s effective for what is being established. 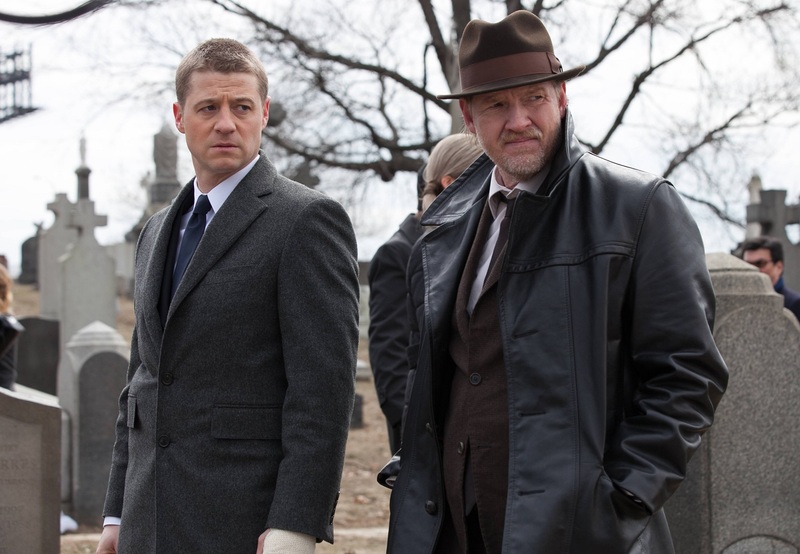 As far as pilot episodes go, Gotham does plenty to establish itself as a very promising series. It is a procedural crime drama and a series set inside a comic book world. That is neat enough as far as the visual aesthetic goes, but providing familiar characters in new forms does enough to create an even richer environment. On top of all that you have a solid lead performance that clashes with the other actors around him in the right kind of way. Between the performances and style, this series meshes noir sensibilities with other pulpy qualities, without going all out in a Sin City sort of way. It is grounded in a certain level of realism, but has everything it needs to portray the corrupt world of Gotham City and the few that want to help it. So welcome to Gotham. I’ll be covering this series during its weekly run and look forward to seeing where it goes. Any ideas on whether Fish Mooney becomes a major, well-known villain in the future or just stays as a comic-free creation for this show? Does anyone actually go to Mooney’s club by the way? It is apparently always free of customers, even though strippers and comedians put on their shows. Excited for Season 3, when young Poison Ivy goes to prom and has a Carrie-like situation occur… but with plants! Hey, what will wacky Edward get up to next? Riddle me that, though I am looking at a Dexter-like situation, based on his role with the GCPD. “My boys are watching a scary movie.” – Fish Mooney knows how to keep her henchmen out of trouble. “Shiny shoes? Mother of god!” – Plenty of humorous Donal Logue moments in this episode of a show that thankfully doesn’t take itself too seriously. 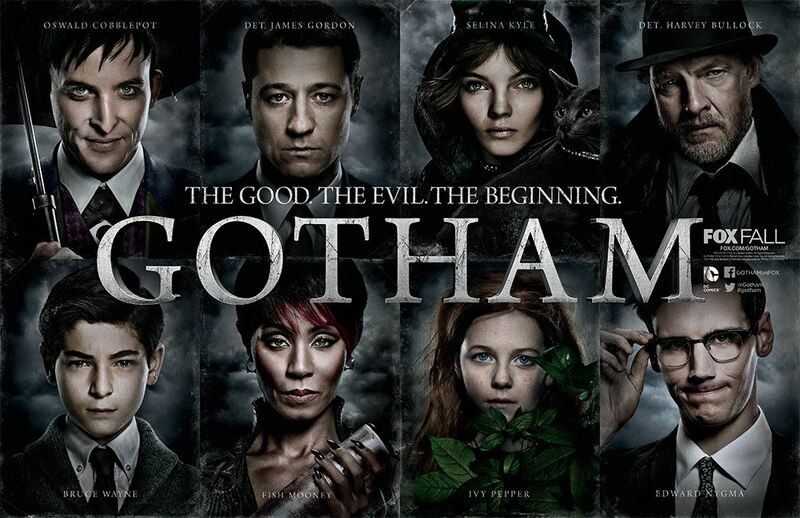 Gotham premieres Monday, September 22, on Fox.